Worried about moving house in Singapore? Follow these tips and moving will be easy. There are a few milestones in life that signal one’s transition into adulthood. One of them is moving homes. Fortunately or unfortunately, this significant occasion often occurs more than once in our lives, particularly in Singapore. Although move-in day can be hectic, there are ways to smoothen the process. Here is a handy checklist to get yourself ready for the big day with minimal stress. Many of us like to give ourselves the unofficial title of being the ‘king of all-things-last-minute’. This of course results in a subsequent eleventh-hour panic. To avoid this, give yourself time to sort through all your stuff by starting to pack four to six weeks earlier. Get your packing materials such as boxes, tape and bubble wrap ready well in advance. Then start with the least important stuff. Decorative items such as posters and art as well as things you collect – such as books and display figurines that have no practical use – can be packed away first. 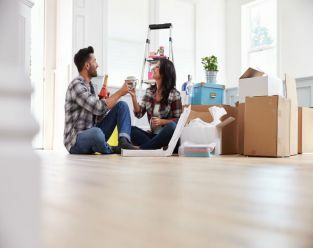 Label your boxes according to the room in which they belong so your items can be placed appropriately at your new home to make unpacking less of a hassle. Since you are already investing time in packing up, you might as well take the opportunity to get rid of things you have been holding on to for far too long (maybe Freud would have something to say about that habit!). Get some inspiration from decluttering guru Marie Kondo of bestselling book The Life-Changing Magic of Tidying Up. Instead of sweeping everything into boxes to be moved, remove items that are unwanted or unnecessary. Either donate them to charity or resell them – who knows, you could have the next most talked-about vintage online shop. You may not be a fan of paperwork (who is? ), but when it is unavoidable, having it sorted as soon as possible can help avoid unpleasant surprises on moving day. If you are moving in or out of a condominium, you will need a permit from the management office. Many condos require at least a week’s advance notice and do not allow moving after 1pm on Saturday and all day on Sunday. They may also want a refundable security deposit as protection against damages caused to lifts and public spaces. Do also find out if you need to apply for parking access for your moving vehicle. Security guards may deny your movers entry if your paperwork is not in order. You might think moving from an HDB is easier, but similar rules to a condo could apply depending on where you stay. It is worth engaging a trusted moving company, as they are often the most updated when it comes to such guidelines. Realistically, you will not be able to unpack everything on move-in day itself. Instead of opening boxes frantically in the middle of the night, have a bag of essentials for the first few days. Think of it as packing for a short staycation – have some clothes, toiletries, chargers and medicine on hand. You should also keep valuables and important documents such as your passport and ATM card with you to lessen the chance of misplacing them. Your child or pet may be the apple of your eye, but remember that moving is stressful for them too. Drop them off at a friend’s place instead, so that you can move peacefully. Once you have moved, you can give yourself a pat on the back. But there is just one more task left – do not forget to protect your new home and its contents from unforeseen accidents by signing up for an appropriate insurance plan. Etiqa’s ePROTECT home offers coverage for all movable household items, renovations and collectibles, so you can kick back and enjoy your new home with peace of mind!